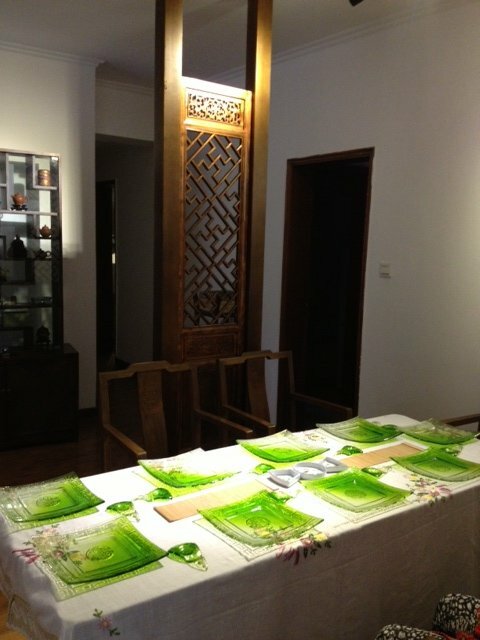 This time I had a chance to visit a new little tea house in Chengdu. 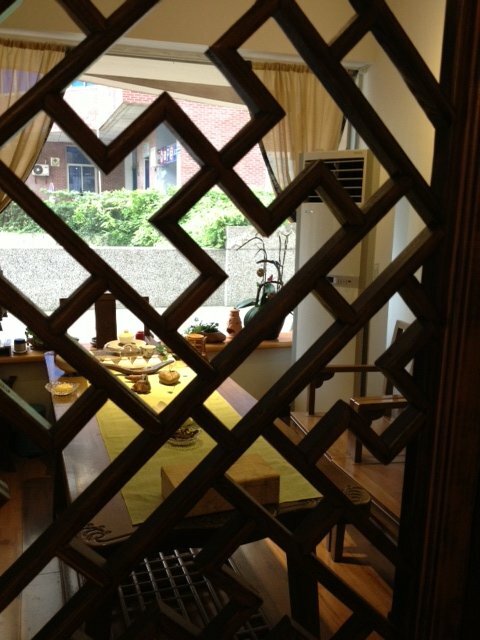 This tea house is hidden in a garden, so most visitors only know about it by word of mouth. It is small but it has many collections to read and browse. There is a thangka of Guanyin that captured my heart. 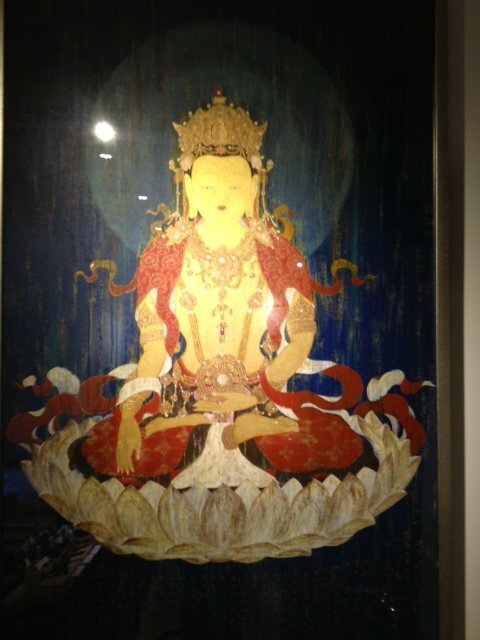 It was an oil painting by a well known 80-year-old lama. 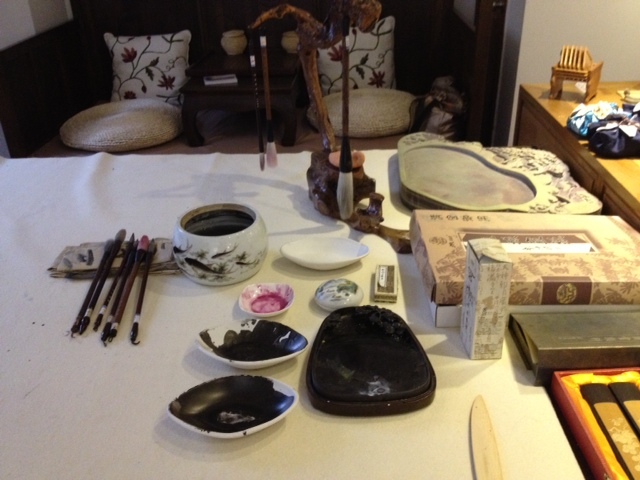 Also, you can take Chinese calligraphy and painting classes here. The environment is very zen style, so it attracts many Buddhist visitors. 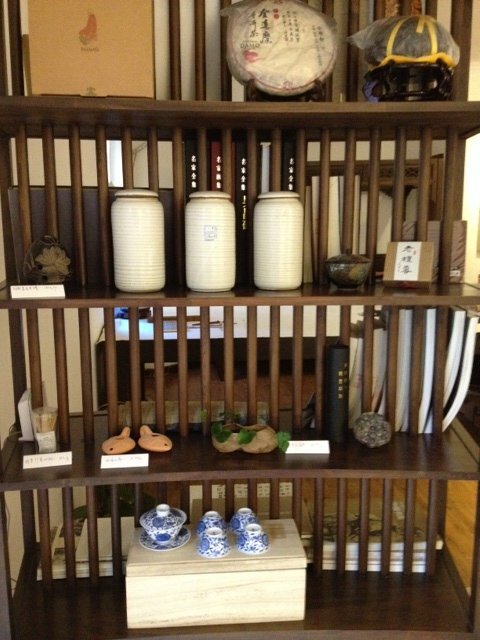 They left some handwritten Chinese calligraphy as a gift for the owner. The amazing art here is a treat for the eyes. This tea house serves vegetarian food only. Healthy cooking is mixed with Chinese medicine and balanced philosophy. 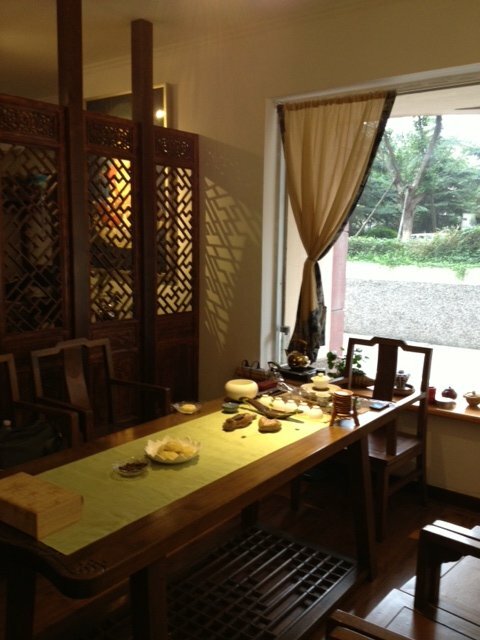 It is a place for tea and food, and a place to awaken the mind and spirit.